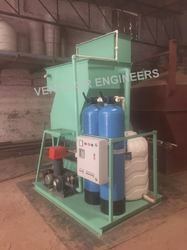 ventilair engineers is offering a wide range of Effluent/waste water Treatment Plant (E.T.P) For small scale industries which is used 1-5 kl water per day . The usage of these products varies from one industry to another. Dying and printing (wet processes) food/restaurant/ Automobile Division emit volatile organic compounds. These contaminate water sources, are harmful to the environment and cause grave risk to the health of local communities. The risk is aggravated with the pollution of drinking water sources. This is common in Rajasthan as these textile units are set up by small households and the artisans and their families live and work in these conditions. This makes the situation of these artisans and their families particularly vulnerable. It also goes against the decent work principle since they come in direct contact with harmful chemicals through touch, inhalation and intermixing with drinking water. The most effective way to resolve this situation is to reduce the effluents at source. 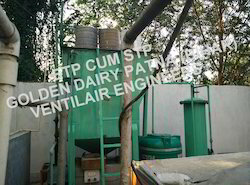 Ventilair engineers is offering a wide range of Effluent/waste water Treatment Plant (E.T.P) For small scale industries which is used 1-5 kl water per day . The usage of these products varies from one industry to another. Dying and printing (wet processes) food/resturent/ Automobile Division emit volatile organic compounds. These contaminate water sources, are harmful to the environment and cause grave risk to the health of local communities. The risk is aggravated with the pollution of drinking water sources. This is common in Rajasthan as these textile units are set up by small households and the artisans and their families live and work in these conditions. This makes the situation of these artisans and their families particularly vulnerable. It also goes against the decent work principle since they come in direct contact with harmful chemicals through touch, inhalation and intermixing with drinking water. The most effective way to resolve this situation is to reduce the effluents at source. We Ventilair Engineers Provides Various Type Of Waste Water Treatment Plant In All Over India Abroad.we Install Many Type Of Etp According Water Consumption. We Have Already Install 2kld To-1000kld Plant. The Pollution Control People have made a fantasy come true. We added a new achievement to the list by launching a portable Waste Water (Effluent) Treatment Plant. The machine is skid-mounted i.e, it will be attached to a 4*6 feet small platform with wheels attached for user's ease. The machine is available for 2-10 KLD usage. The user just has to input the outlet provided into the effluent or waste water. The purified water is reusable for gardening, floor washing, car washing, and toilet flushing. We kept the storage problems in mind and then launched this product which is mobile and can be connected to other systems just by changing the inlet. The machine is ALL IN ONE with all the features of a regular plant but is more advanced, convenient and easy to use. Colorless & odor less treated water.